Newly-launched sports streaming service Kayo Sports has announced new features to be added soon including Search, Continue and Alerts. A new Search function launching early next year, allowing users to search for an event, show or game. Fans who are watching on the go and want to pick up the action later now can, with a new continue watching feature enabling fans to pause or exit an event then return later on any device and pick up where they left off. In App alerts will alert users of when their favourite team is about to begin or if a match is starting to heat up. 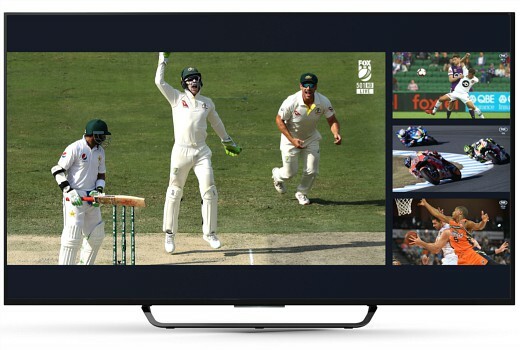 Julian Ogrin, Kayo Sports CEO, said: “Kayo is redefining how Australians stream and experience sport. Since launching in beta a few weeks ago, we have been listening to our customers and using these insights and feedback to help enhance the product. “We launched last week with a number of game changing features including ‘Splitview’, ‘Key Moments’ and ‘No Spoilers’. The additional functions that are coming soon will give the user more control of how they want to watch sport. Kayo offers FOX Sports, ESPN and beIN Sports from $25 per month with a 14-day free trial. Yes. The annoying ding ding when you open the Apple TV app indicates that (to me anyway). Is Kayo a Japanese name? My understanding is that it’s called Kayo, as in K.O. (knockout). I too have wondered the meaning of the name and the best I have come up with is that it is meant to be pronounced kay-o, which in martial arts terminology refers to a knock out. So if that is correct, and that’s a big If, perhaps the name is to reference it having knock out sports, a knock out service, etc. @ David Knox – do you have any insight? That’s the chatter I have heard.